Through the Domains Manager integrated within the Site Control Panel, it is possible to look after your domain names easily, within the exact same place you control your websites. And additionally the Domains Manager is packed with all of the tools you need to efficiently deal with all aspects of your domain names. Using the Start Your Own Hosting Business Site Control Panel, it'is easy to work on multiple web sites and domain names at the same time. Start Your Own Hosting Business's Domains Manager allows you to regulate all the different popular features of your domain names WHOIS data, name servers, custom DNS records, domain locking, etc. 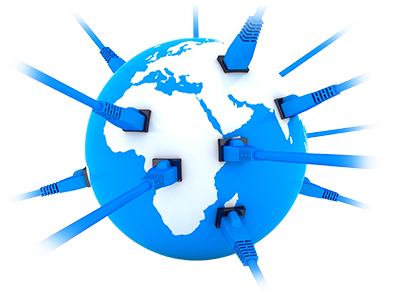 You might also park unlimited number of domain names, reroute domain names, enable Domain WHOIS Privacy Protection, etc. With just a click, it is possible to control your websites files, databases, email accounts, or look at the current site stats. With the Site Control Panel, you'll notice an option to set all kinds of DNS records for your domain names. You're able to point your domains to outside hosts by using A or AAAA records, use 3rd party mail servers by means of MX records, put in place domain name redirection together with CNAME records, permit support for additional solutions utilizing TXT records, etc. You're able to modify the tweaked DNS records and return them to their defaulting values with simply a click. Beyond the custom DNS records, it's also possible to register name servers that can be depending on your web address. Consequently all of your current clients will discover your brand, instead of our generic name servers, once they make a WHOIS search. 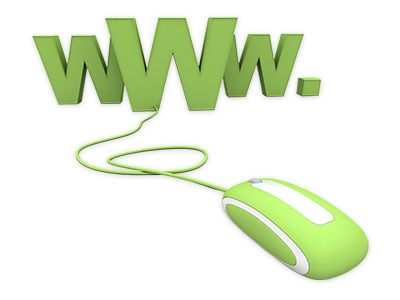 A domain name is a user friendly and unique website address that you are able to get for your web site. It designates a numeric IP address that is used to find web sites and units on the World Wide Web but it's much simpler to remember or distribute. Each and every domain includes two separate parts the specific name that you select plus its extension. For example, in domain.com, domain is known as Second Level Domain and it's the part you can select, while .com is the extension, which is referred to as Top Level Domain (TLD). You'll be able to acquire your new domain via any accredited registrar organization or relocate an existing one between registrars in case the extension supports this function. Such a transfer doesn't change the ownership of your domain; the only thing that changes is where you're able to manage that domain name. Most domain name extensions are available for registration by all entities, however a large number of country code extensions have particular conditions for instance local presence or a current company registration. When you want to register your new domain name for a web site that you host through a semi-dedicated server account, it takes only minutes for it to go online. We're able to offer such a timely service because we work with an ICANN-licensed registrar, therefore we can offer nearly immediate registrations in addition to a large number of domain administration options. If you have current domain names, you are able to transfer them here since it'll be far more convenient to control them from a single place with the hosting space, not mentioning our really competitive prices. Providing more than 50 domain extensions to pick from, you are able to easily acquire a domain name and brand your web site. We supply both generic and country-code TLDs, so you are able to choose an extension which will correspond with the content as well as the prospective audience of your web site. The Hepsia Control Panel enables you to register or renew a domain, control its WHOIS details or set up our Whois Privacy Protection solution with just a couple of clicks. If you'd like to have a domain name for your web site, you are able to acquire it together with your new Virtual Private Server. If you need to obtain various more domain names at a later time, you're able to register them in large by using the billing Control Panel and they'll be activated in a matter of minutes because we partner with an ICANN-certified registrar, and we can offer speedy registrations and superb administration services. With more than 50 extensions to pick from, you'll be able to obtain the ideal domain name for your website depending on the purpose of your website and its target country. We provide both generic and country-code TLDs, so in case you're a professional, for instance, you'll be able to acquire a .PRO domain, or when you would like to be successful on the German market, you will be able to register a .DE domain. In case you already have a domain name via another registrar, you are able to transfer it and take care of it together with your Linux VPS.